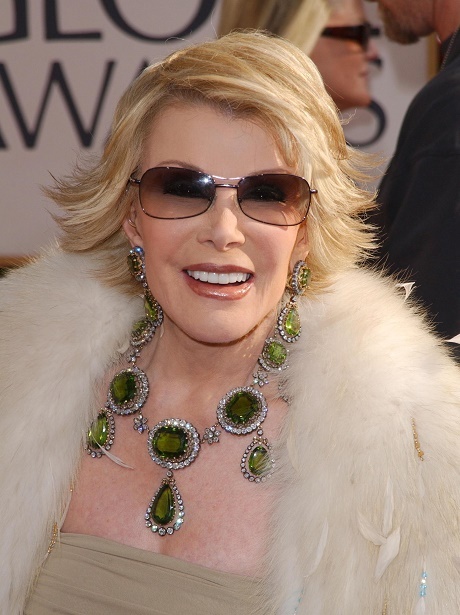 On August 28, Joan Rivers arrived at Yorkville Endoscopy for a routine endoscopy procedure. Rivers reportedly brought along her own entourage, including a doctor who was on hand during the procedure. According to the New York Daily News, the doctor who came along with Rivers identified himself as an ear, nose, and throat doctor. One of the Yorkville doctors spotted something on Rivers’ vocal chords, which prompted the doctor who joined Rivers for the procedure to ask if he could use the tools that belonged to the clinic in an effort to remove the strange mass — and they allowed him to do so. This decision may have been the most damning of all in the death circumstances surrounding the late comedian’s death. The New York Daily News reports that not only was the clinic doctor in the wrong for allowing an outside doctor to use the clinic’s tools, he also did not have Rivers’ consent to perform a biopsy. This type of biopsy is reported as being highly dangerous. Reports even suggest the biopsy should have been done in a hospital rather than the clinic. A source told The New York Daily News, “The Aug. 28 biopsy at Yorkville Endoscopy, an E. 93rd St. clinic that usually only deals with digestive issues, caused Rivers’ vocal chords to seize — a condition doctors call a laryngospasm — cutting off her air supply.” So far, there is no comment from the doctor who performed the biopsy, but he may just be too busy finding a team of lawyers to take on his defense! You know we will keep you posted, CDLers, so check back with us soon. In the meantime, tell us what you think of this latest development.